PANAMA CITY (CNS) — Just before leaving the physical and human warmth of Panama Jan. 27, Pope Francis stopped to thank the thousands of official volunteers, young and old, gathered at the capital city’s Rommel Fernandez Stadium to tell them that they had just participated in an event similar to one that took place early in Christianity. “In sharing, you create a small community and we return to the times of the first Christians … we follow their example,” he said. 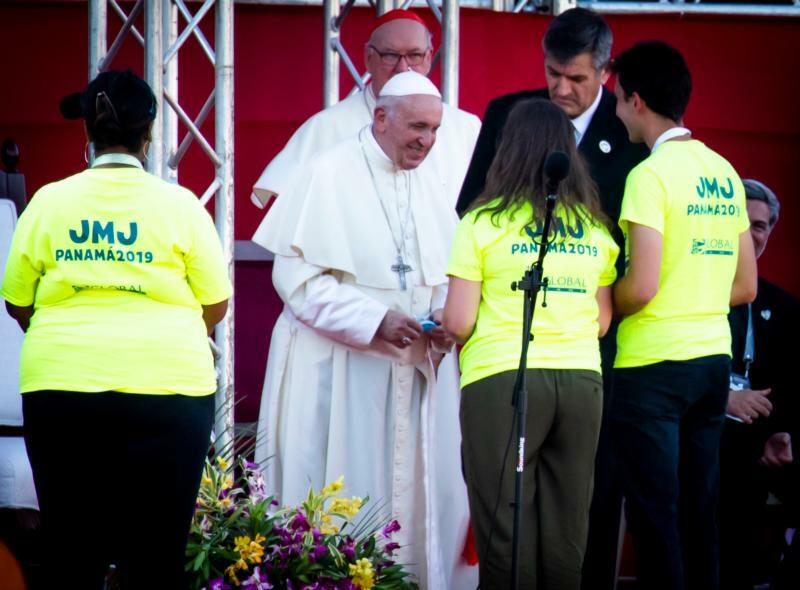 World Youth Day 2019 in Panama may not have been the largest, in terms of attendance. Event officials say some 113,000 registered as pilgrims to attend various events — though it was obvious that many more who did not register filled up the venues. What the event in Panama may — or may not — have lacked in numbers, it made up for in its treatment of young pilgrims. Priests, bishops, women religious and thousands of volunteers, young and old, officially and unofficially, seemed to devote more quality time to participants than in the past, said pilgrims such as Francisco Apenu Cofie of Ghana.